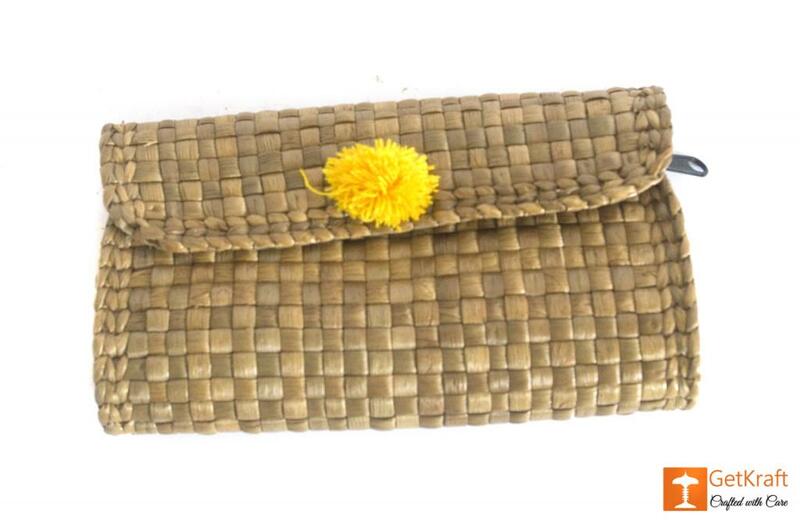 A small and elegant design formed out of Water Hyacinth. This small purse has enough of space to store and hold your phone. money and documents etc. It even has enough space left out to hold some more of your accessories.